Since their inception in the early 1990�s Acrobird has been recognized as the leading manufacturer of small bird play gyms In 2009 the company became aware that consumers were not particularly enchanted with the �out of cage� play areas on the marketplace. Acrobird set out to develop a product which would meet the needs of pet parrots, as well as their human custodians. 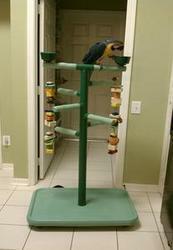 Provides pet birds with perch and play area outside of the cage. This unique design was conceived to be child friendly and save space. The gentle radius on the front edge of the base eliminates any potentially sharp edges and takes up considerably less space than the traditional rectangular configuration. The straight back allows you to place the Play Tower flush against a wall. Perch is 1.25" in diameter; Height: 48", Width: 28", Depth: 20"
For Small to Medium Birds - Cockatiels, Conures, Lories, Senegals, Caiques, Pionus, etc. Simple assembly. 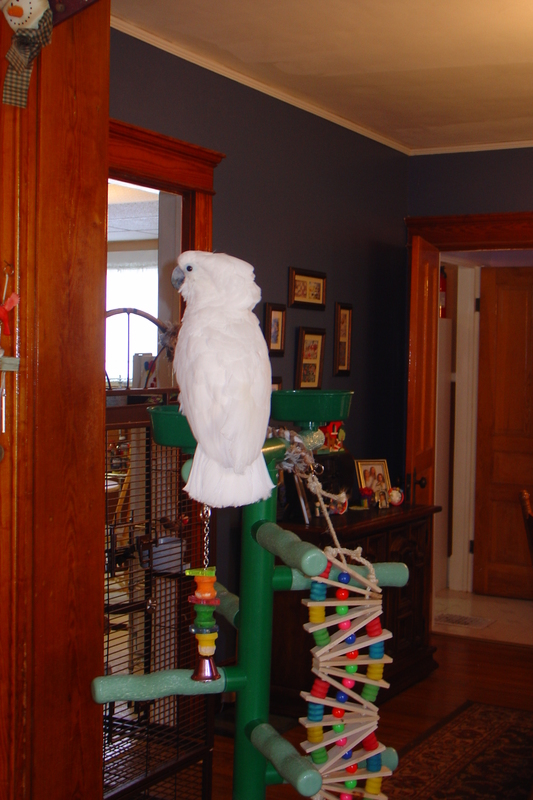 Provides pet birds with perch and play area outside of the cage. This unique design was conceived to be child friendly and save space. The gentle radius on the front edge of the base eliminates any potentially sharp edges and takes up considerably less space than the traditional rectangular configuration. The straight back allows you to place the Play Tower flush against a wall. Perch is 1.25" in diameter; Height: 54", Width: 32", Depth: 22.5"
Provides pet birds with perch and play area outside of the cage. This unique design was conceived to be child friendly and save space. The gentle radius on the front edge of the base eliminates any potentially sharp edges and takes up considerably less space than the traditional rectangular configuration. Perch is 1.75" in diameter; Height: 54", Width: 32", Depth: 22.5"